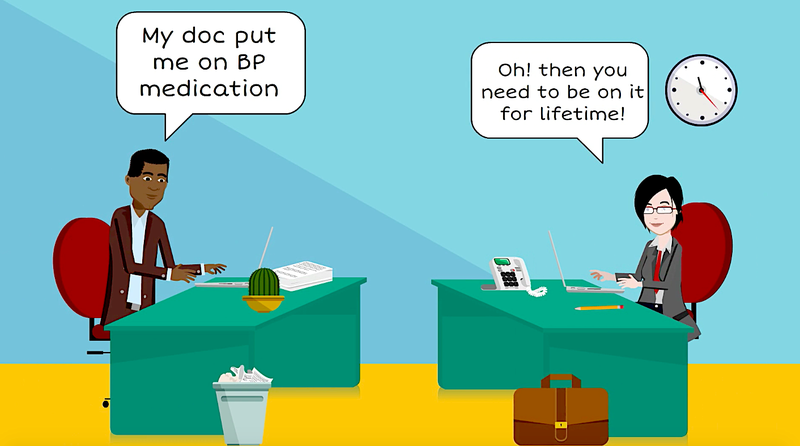 DO YOU REALLY NEED TO BE ON MEDICATION FOR HYPERTENSION? India is home to about 200 million adults with high blood pressure or hypertension, according to a latest study while globally the number of people with high blood pressure has reached 1.13 billion. Can high blood pressure be reversed? You have high blood pressure and you have been advised to lower it in order to avoid the serious complications that high blood pressure can cause. If it’s not handled properly at the right time in the right way, it could lead to many different complications to your health. Sadly, today when you are diagnosed with high blood pressure, you are immediately put on antihypertensive medication and you hear that you need to be on it for lifetime. This wrong piece of advice could discourage you to realise the effect of lifestyle or dietary change recommendations that could potentially help you to come off of the drug that you are on. Doesn’t mean that you should never take any medication when you are diagnosed with hypertension. 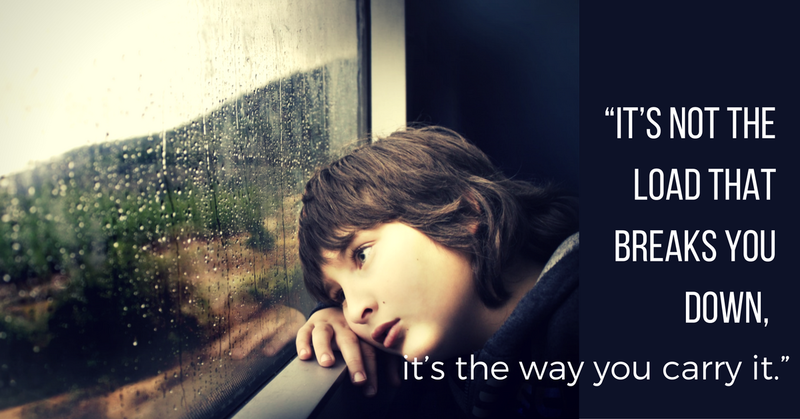 But lifestyle modification can certainly help you get off the medication in a safe way. It's about bringing in some change. 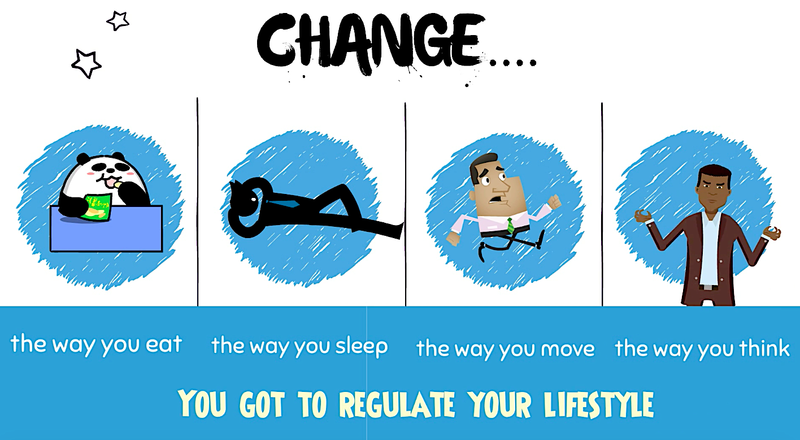 Change the way you eat; the way you move; the way you sleep; the way you think - these little efforts can go a long way in reversing many diseases that you suffer from today which includes hypertension as well. The human body is designed to heal itself. You really got to regulate what you eat, the amount of what you eat and be conscious of what contains in each food you consume. Every single moment, your heart works hard to pump blood through your arteries and veins, to make sure the oxygen, nutrients that your body need are delivered. High blood pressure or hypertension can be causing damage to your body for years before you experience any discernible symptoms. It might leave you with a permanent disability, a poor quality of life or even a fatal heart attack if you fail to take control of it. The only way to know if you have high blood pressure is to have it checked regularly. Uncontrolled high blood pressure can damage your heart in a number of ways. Toxins in the food we eat and the air we breathe, sugar & excess consumption of salt cause inflammation in your arteries which makes the arteries to become narrower. What also narrows these arteries is the buildup of plaque on the walls of your arteries. When this happens the pressure builds up and makes your heart to work harder to pump the blood through the arteries. Smoking, overweight, lack of physical activity, sedentary lifestyle, too much of salt in your food, too much of alcohol consumption, chronic stress - all these can lead to high blood pressure. 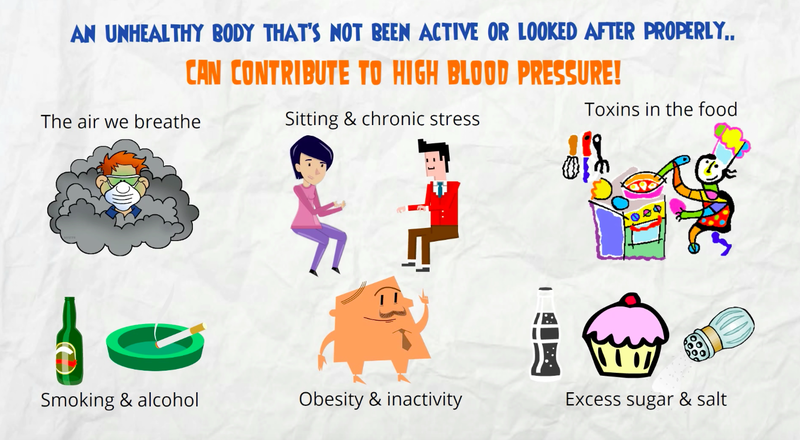 As you age in an unhealthy body that’s not been active or not been looked after properly can contribute to high blood pressure. Genetics/family history, diabetes, chronic kidney disease, thyroid problems, sleep apnea can also contribute to high blood pressure. 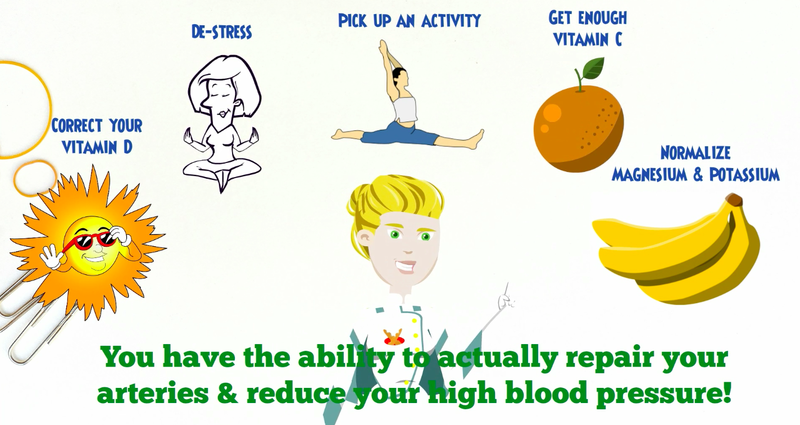 Understand deficiency in your body & act on it! People who get moving are often able to reduce the number of hypertension medications they’re on. Pick up an activity you like, viz., walking, running, swimming, cycling, but make sure you stick with it. You are told to cut down salt intake to control your high blood pressure, but many aren’t aware of the benefits of potassium, which counters sodium’s ill effects. Bananas are a good source of it! De-stress - yoga and pranayama is a great de-stressor and can have significant impact on your control of high blood pressure. Correct your vitamin D3 levels. Studies have shown that there is a relation between vitamin D levels in your body and hypertension. Those who have higher vitamin D tend to have lower blood pressure. Intake of nutrients such as magnesium and calcium and optimising levels of it in your body can also help reduce hypertension. Quit smoking if you do; lose weight; drinking too much alcohol can too elevate your blood pressure. There you go, you do have the ability to actually repair your arteries and reduce your high blood pressure. These simple modifications can help get your blood pressure back into a healthy range. 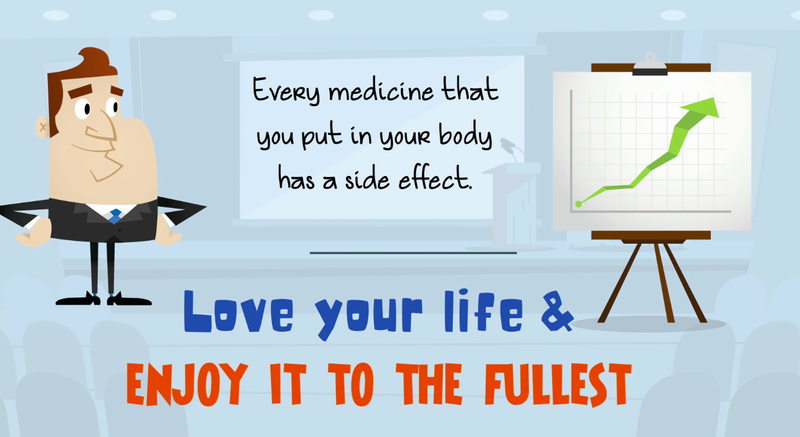 Remember every medicine that you put in your body has a side effect. Love your life and enjoy it to the fullest! How accurate is the home BP meter reading? Why hypertension is an invisible killer?